Home theater installations, audio systems installations, and video surveillance installations are a breeze with Video Experts, Inc. in Mamaroneck, New York. Purchase your audio systems, video systems, networking systems, and more from Video Experts, Inc. 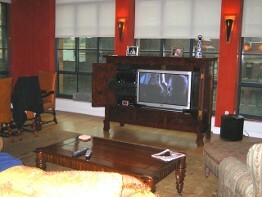 Audio and video installations are our specialty. Your home video surveillance systems, phone systems, CCTV systems, home theater installations, and any other audio or video installations are quickly handled by the professionals from our systems engineering firm. Call us today to set up an appointment for an installation estimate. Your phone call is important to us, and we come to the installation location as soon as possible to further consult on your installation. Free onsite consultations are provided for residential and commercial buildings. schedule an appointment for audio systems or video surveillance installations.